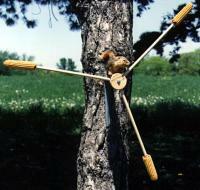 Interested in checking out some jarred squirrel? No, not the edible kind. This jar-style squirrel feeder will let you get up close and personal with your furry neighbors as they pop in for a snack. 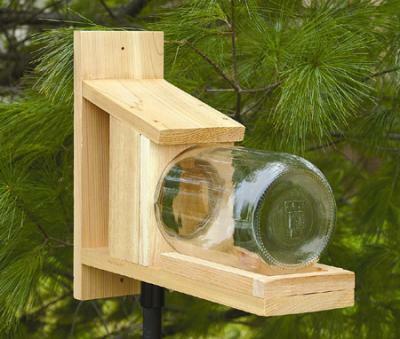 The big glass jar can hold lots of dried corn or peanuts for squirrels to nab, and the design of the cedar feeder keeps the food sheltered from rain, snow, and bigger animals. The jar is also very easy to refill and clean! 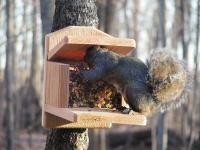 For even more fun, aim a webcam at the feeder so you can check in from anywhere! 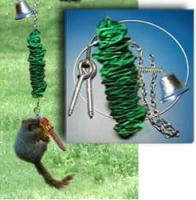 This feeder can be mounted to a tree or pole. 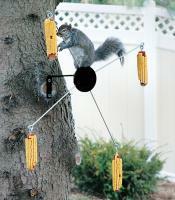 Great for attracting squirrels, but Blue Jays take a large number of peanuts and the feeder does NOT keep them out.